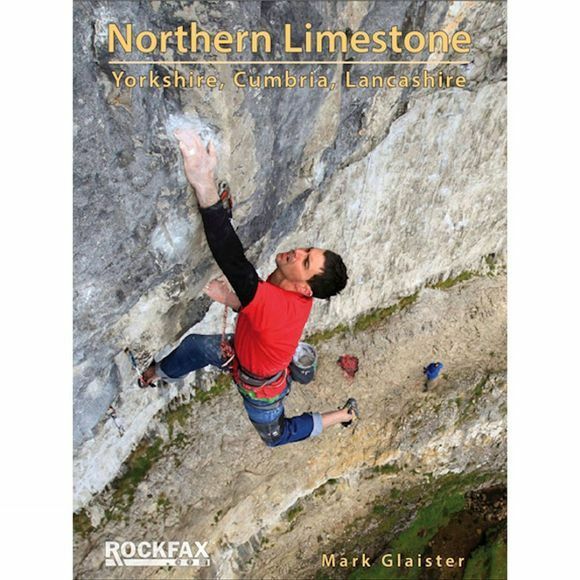 Northern Limestone : Yorkshire, Cumbria, Lancashire from Rockfax covers the premier limestone sport crags of the UK with the big three of Malham, Kilnsey and Gordale and their world class climbing. Alongside these titans are numerous other destinations that offer both sport and trad climbing throughout the grades, ranging from the intimidating walls of Blue Scar and Trow Gill to the long lines of newly developed low to mid-grade sport crags such as Moughton Nab and Giggleswick South. Low to mid-grade trad climbing is also well catered for on the walls and escarpments at the likes of Trowbarrow Quarry, Twistleton Scar, Attermire Scar and Witches Quarry. Virtually all of the crags in the book are set in beautiful countryside and are close to fabulous pubs, villages, camping and bunkhouse accommodation. Twistleton Scars, Trow Gill, Robin Proctor's Scar, Crummackdale, Panorama Crag, Moughton Nab, Pot Scar, Giggleswick North, Giggleswick South, Langcliffe, Castleberg Crag, Attermire Scar, Malham Cove, Gordale, Stony Bank, Yew Cogar Scar, Blue Scar, Kilnsey, Dib Scar, Loup Scar, Troller's Gill, Scout Scar, Mill Side Scar, Chapel Head Scar, Humphrey Head, Trowbarrow Quarry, Witches' Quarry.